The festival of Eid turned out to be a day of mourning for many Kashmiris as curfew was clamped across the Kashmir valley. Two youth were killed in clashes and scores injured. Police said as many as 44 stone pelting incidents were reported across the valley. Mustafa Mir, 22, son of Hameed Mir of Dachigam village of Bandipora died during clashes with government forces in north Kashmir’s Bandipora district on Tuesday morning. Mir was declared dead on arrival at Sub-district hospital Baramulla, health officials said. “He had suffered a head injury after being hit by a teargas shell,” said Dr Pervez. Shahid Ahmad Seh son of Mohammad Yousuf, resident of Nagbal village of Imam Sahib area of Shopian district of south Kashmir was killed in clashes between government forces and protesters in Shopian taking the number of killings in the ongoing uprising to 82. Helicopters and drones were flying in the sky to keep a bird’s eye vigil from the skies. The government has already ordered shutdown of Internet services of all telecom networks and also mobile telephony except that of the state-run BSNL for the next 72 hours because of the tense law and order situation in the state. 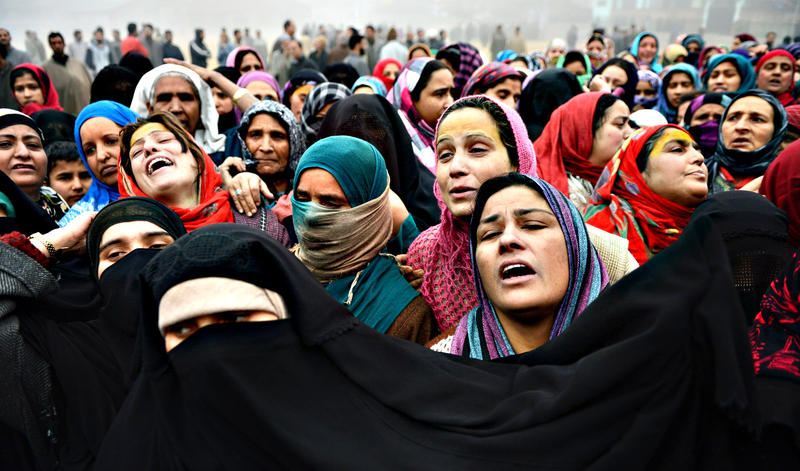 The central government’s suppressive measures come as no surprise as the Hindu fanatics have been trampling the people’s fundemental rights from the killing of Burhan Wani. What is sad is that the state government has become a stooge of the centre. It is not just dare enough to let people celebrate festival. The clamping down if curfew and killing of people even on Eid reflects the stark incompetency of state government. Peaceful protests should have been allowed as there was nothing to loose by the govt.